CES is one of the largest shows in the world. Hosted by the Consumer Electronics Association in Las Vegas, the gambling mecca of the world, it’s no surprise that CES showcases all latest gadgets! Have you heard of the phablet, the phonelet, the tweener or the super smartphone? Neither had I… but they’ll all be household concepts before too long! 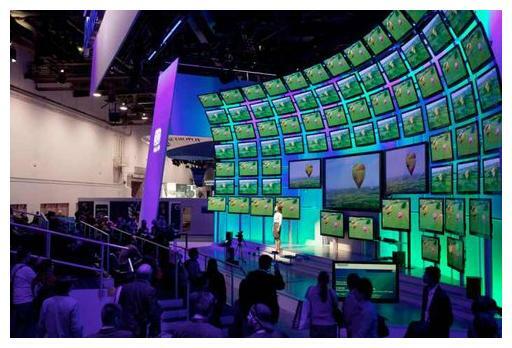 Forget HD TVs… this year’s CES is all about Ultra HD TVs. Imagine a television with four times the resolution of regular HD! But, don’t get too exited. These TVs have to be at least 60 inches wide to notice the difference. Technology is advancing faster than the human eye can keep up! All very fascinating, but I’m far more interested in the trends which are emerging in exhibition stand design. Exhibitors spend a lot of money to attend CES. Consequently, it’s important to stand out from the crowd. Many of the exhibitors are opting for a modular approach. Modular exhibition stands are easy to assemble, open plan and very eye catching. Our own modular exhibition stands have been designed with such flexibility in mind. From small panel displays to large 200m2 conference platforms, our modular stands allow organisation to scale their exhibition presence as required. Our own CROSSwire and TRUSSwire platforms have won international awards for their strength, durability and flexibility. 200m2 Exhibition Stands is a leading UK provider of exhibition services. By helping our clients to develop the right exhibition strategy, 200m2 helps organisations to maximise return on investment. Get in touch to find out more. Next Next post: Exhibition Tips: Which exhibition should you attend?